Ca d'Oro: book your tickets now! 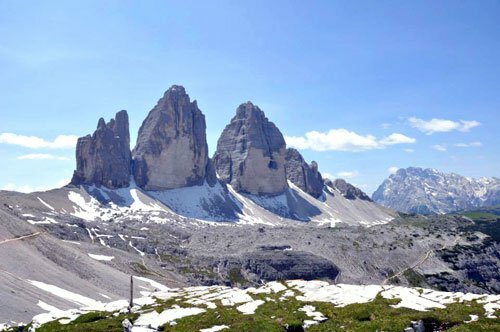 WHY VISIT THE CA' D'ORO? 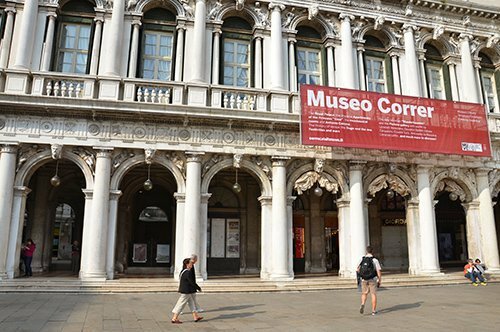 Because the Ca' d'Oro is one of the most fascinating Venetian gothic buildings and inside it is possible to admire the art collection which was created and promoted by Baron Giorgio Franchetti who donated the works that were part of his personal collection. 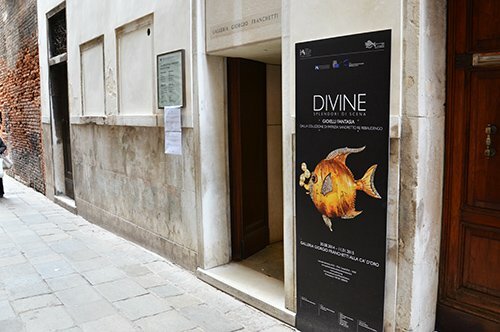 With time, the Baron's collection was enlarged with works of the Renaissance that came from some demolished religious buildings and from the Archaeological Museum of Venice. 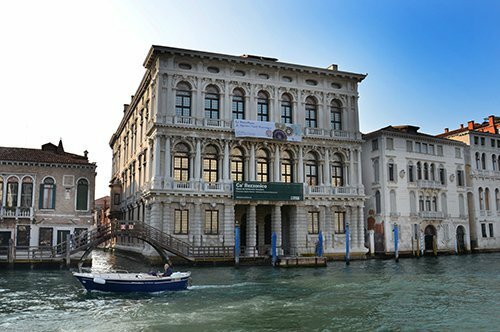 Today the "Giorgio Franchetti Gallery, Ca' d'Oro" includes Renaissance paintings from Tuscany, Emilia, Umbria and Lombardy, sculptures, bronzes and tapestries, a section dedicated to ceramics and some works by famous artists including Tintoretto, Titian, Van Dyck and Mantegna. In 1400, a noble Venetian merchant and politician, Marino Contarini, married Soramador Zeno, who brought in a dowry some properties among which was a very impressive construction on the Grand Canal, which the Contarini decided to demolish to build instead a New and sumptuous palace. From the second decade of the 1400s, different qualified workers were employed for the construction of the new building, from which the different ornamental styles can be appreciated. 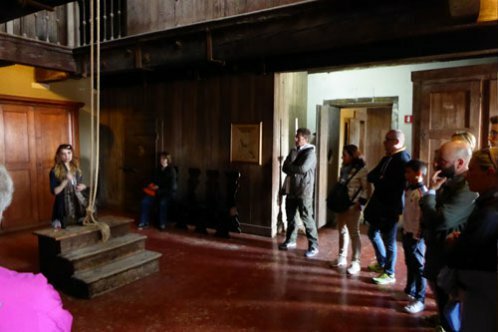 The building was inherited by the grandchildren of the Contarini and later passed into the hands of different owners who gradually made some changes in the internal structure of the building. Towards the end of 800 Baron Giorgio Franchetti, who was the owner of the building, stipulated with the Italian state an agreement for the State to guarantee the reimbursement of expenses incurred during the restoration of the building with the intention of returning as much as possible its 15th century appearance. It was also Baron Franchetti, who placed some works of art inside the palace because he wanted the building to become a museum. After the Baron's death and once the restoration work finished, his will became a reality and, in 1927, the Ca' d'Oro Gallery was inaugurated. WHAT IS THE CA' D'ORO, GALLERIA FRANCHETTI NOWADAYS? The Ca' d'Oro palace currently houses a rich collection of art. This is a Late Venetian Gothic style building with a singular charm thanks to the extraordinary subdivision of the architectural elements that are inspired by oriental art, with the beauty of the marbles and the internal decorations. It is also very interesting the beautiful courtyard with loggias, the floor with mosaics and the parapet of Bartolomeo Bon. Currently and also thanks to the restoration desired by Baron Franchetti, the Ca' d'Oro presents its characteristic and original appearance, in addition the Gallery dedicated to Giorgio Franchetti collects in its interior a collection of sculptures, paintings, bronzes and a large section of ceramics. 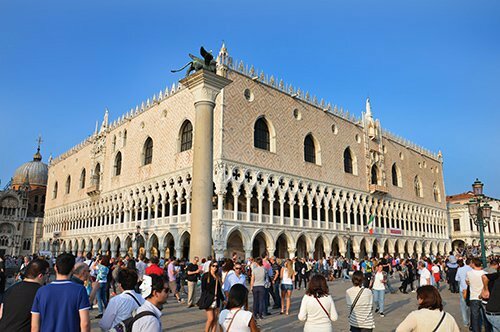 Did you know that the Ca' d'Oro is a famous building throughout the world for being one of the oldest Venetian buildings in Venetian Gothic style? The name Ca' d'Oro derives from the fact that its façade was originally partially covered in gold. At that time, it was unusual for a palace to take its name from its decorative features and not from its owner's name. Did you know that Giorgio Franchetti was a patron and a collector of works of art, a descendant of a family of bankers who financed the campaigns in favor of the Resurgence? Even if his father had wanted him by his side to lead the family, his love for art led him to travel and accumulate in time a lot of works that later gave way to the Ca' d'Oro Gallery. His ashes rest in the atrium of the palace he loved so much.  HOW TO VISIT THE CA' D'ORO, FRANCHETTI GALLERY? If you want to visit the wonderful Ca' d'Oro, you can buy a ticket with priority entry online. 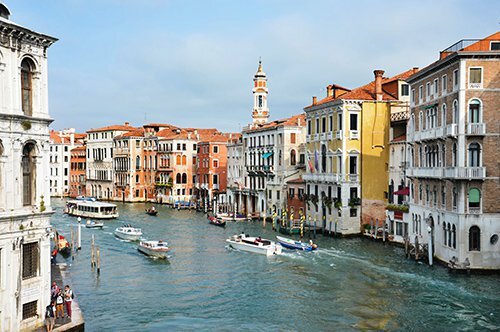 The Ca' d'Oro faces towards the Grand Canal, navigating the Canal and passing through the famous Rialto Bridge, you can have a romantic view of the city and its places of artistic interest; you will pass the Ca' Rezzonico, the house of Carlo Goldoni and the Accademia Galleries of Venice. Using the Map of Venice, you can better organize your visits to the monuments of this unique city. 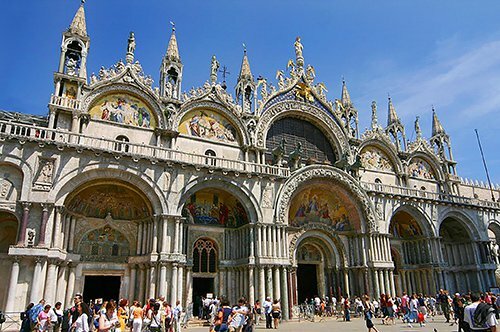 You can visit Piazza San Marco (St. Mark's Square) with the Basilica of St. Mark and the Museums of St. Mark Square that are part of the Civic Museums of Venice, museums that you can visit with the Venice Museum Pass which offers a combined ticket to visit, among others, the Doge’s Palace, the Correr Museum, the Archaeological Museum and the Marciana National Library, you can also follow the route of the Secret Itineraries of the Doge’s Palace. From the square you can visit other museums included in the Venice Museum Pass, such as the Palazzo Mocenigo, which is located along the Canal, as well as the Ca' d' Oro, a beautiful 17th century palace, the Ca' Pesaro, where you can visit the International Gallery of Modern Art in an elegant building overlooking the Grand Canal or the Natural History Museum located inside the Palazzo Fontego dei Turchi. 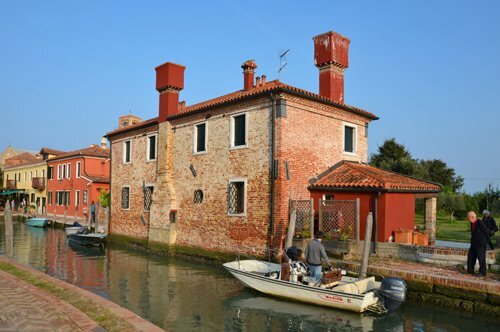 Some small islands are also part of the Venetian Lagoon in which there are some very characteristic inhabited centers such as Murano, Burano and Torcello. 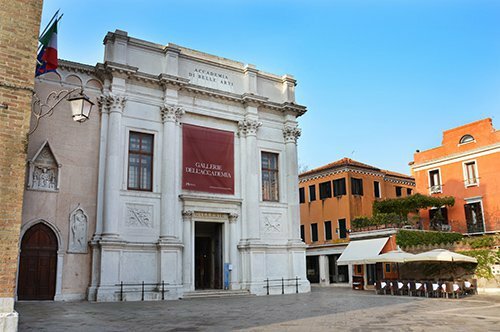 Murano, known for its historic glass work where it is possible to visit the Glass Museum, which is also part of the Civic Museums of Venice and can be visited with the Venice Museum Pass, as well as the Lace Museum in Burano.